I’m Jacky and I’m one of the new design team members and I’m really excited to be here. I’ve been a customer of Meg’s Garden for a very long time. Her store was always one of my first visits at the Stitches and Craft shows. 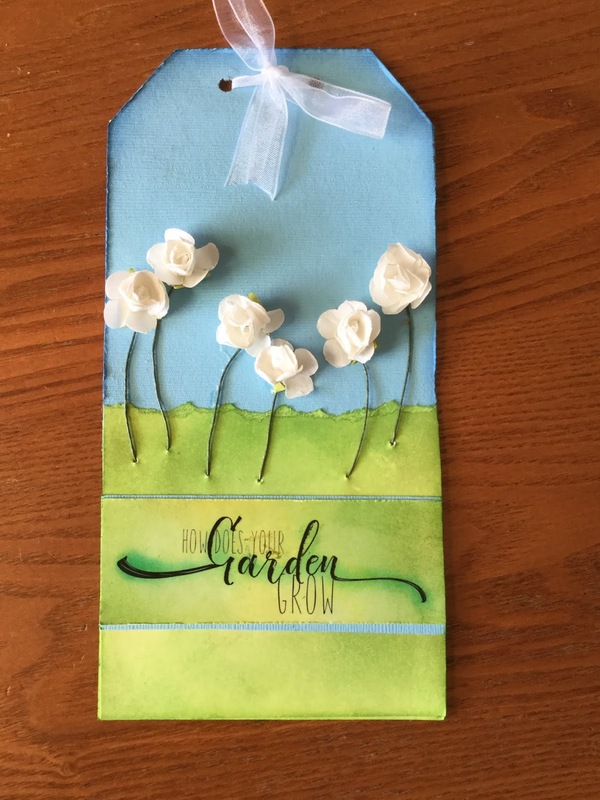 Anyway on to my first Blog post... I’ve made a BIG tag (8x4) from some blue Cardstock and have done some ink blending on white cardstock at the bottom of the tag to resemble a grassy field.... I’ve then used Megs PAPER FLOWERS on wire and attached them to the tag so they look like they are growing. 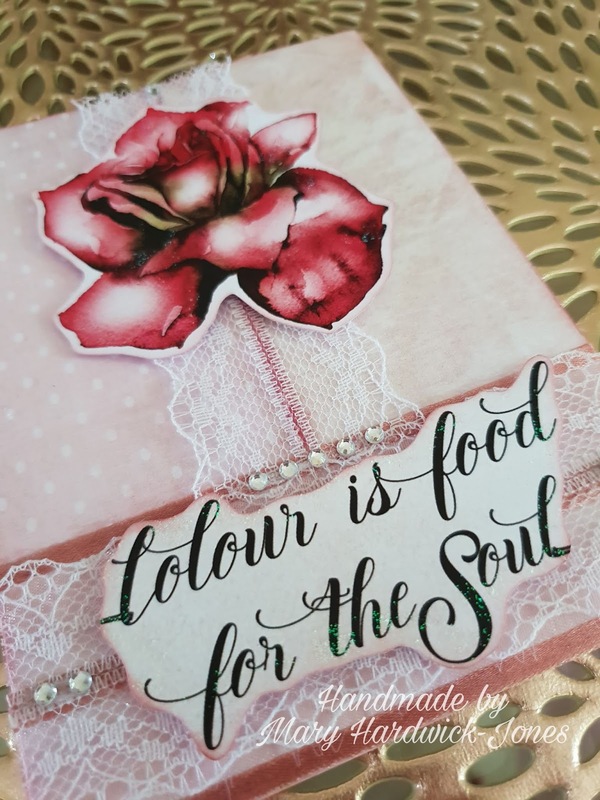 I’ve then used one of the titles from the SPRING FLOWER CLICK and CREATE, the words are beautiful and I just love the font! 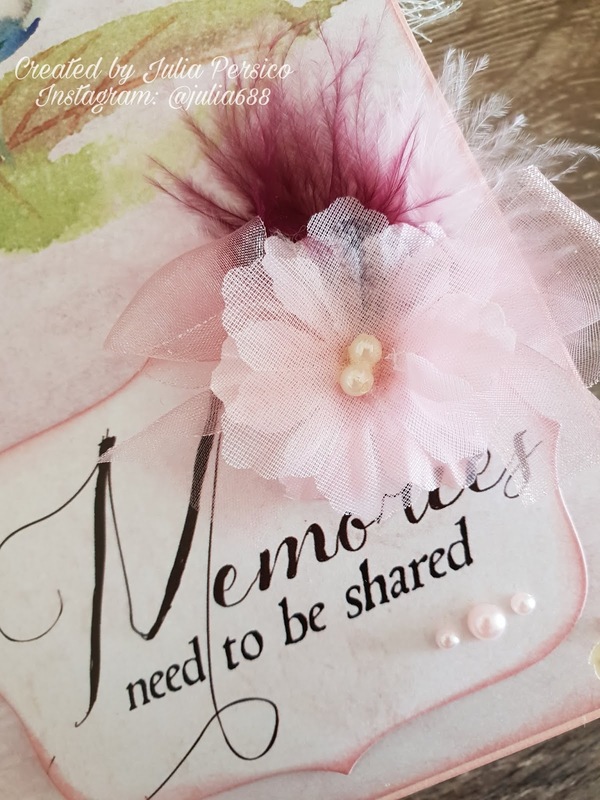 These titles print on white but you can easily use your inks or chalks to customise them or even print on coloured paper. Hello everyone! I hope that yo are having a wonderful week. Today I am sharing a project that I have created using the French Roses Collection from Megs Garden. 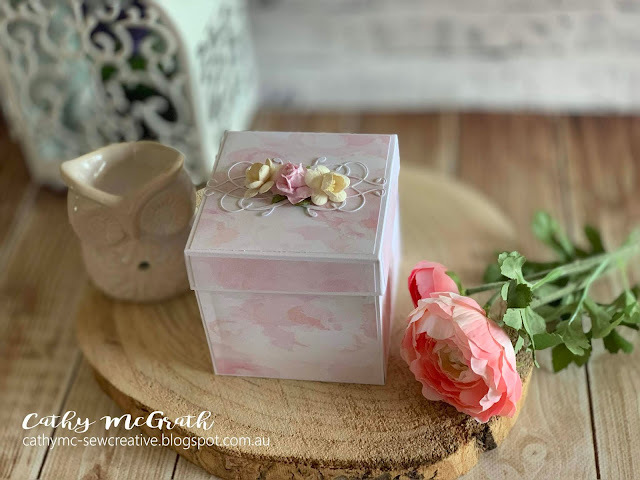 I decided to create an explosion box, as I wanted to feature the ephemera (cut and create elements of the collection), lace and also beautiful flowers that coordinate so beautifully with this collection. The centrepiece of my project is the cake. 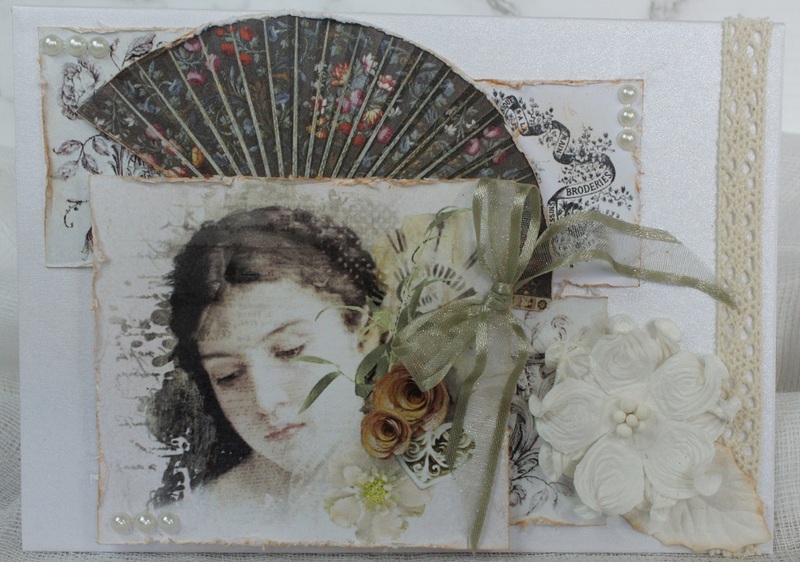 It features lace, pearls and flowers from Megs Garden. On all of my panels, I used a circular Marianne Design die as my base and built up from it. 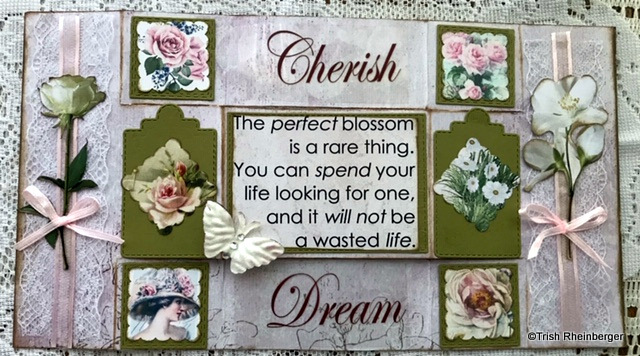 Here I added a clock ephemera element as my focal image and added some flowers and a butterfly. Adding a flourish and flowers adds a softness to each page and an overall cohesion to the panels. When selecting my images, I selected pairs...two florals and two non florals...for balance. French Roses card.Hello and welcome on this rather warm day. 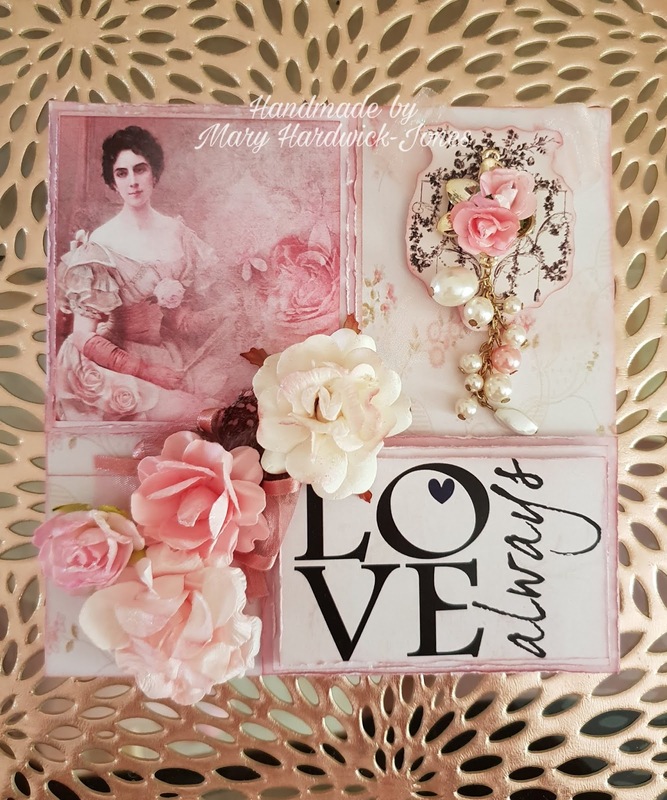 The emotive sentiment was the inspiration for this card (and my love for all things Over The Top!) Just look at the beautiful lady's eyes - love and purity. 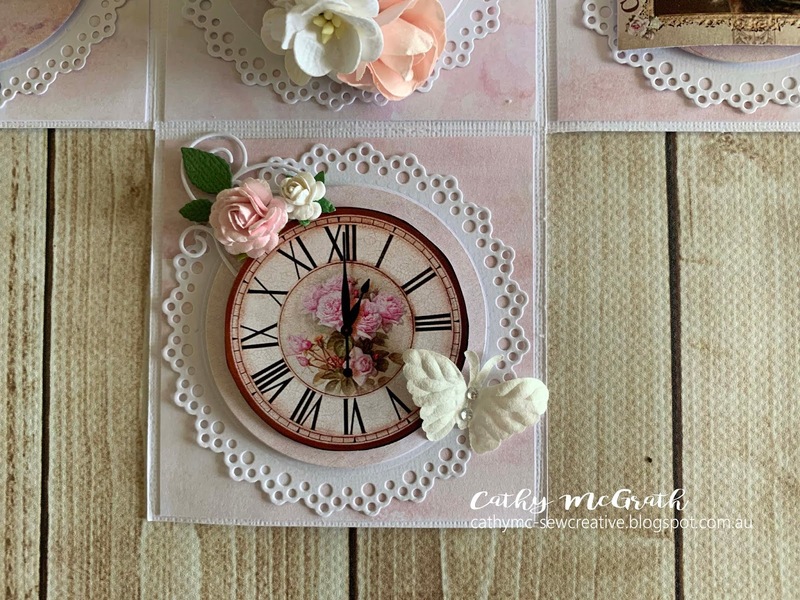 Both are cut from Meg's Cut & Create pages from the new French Roses Collection. As well as my love for O.T.T, I also love layering on cards - adding height and focal impact. 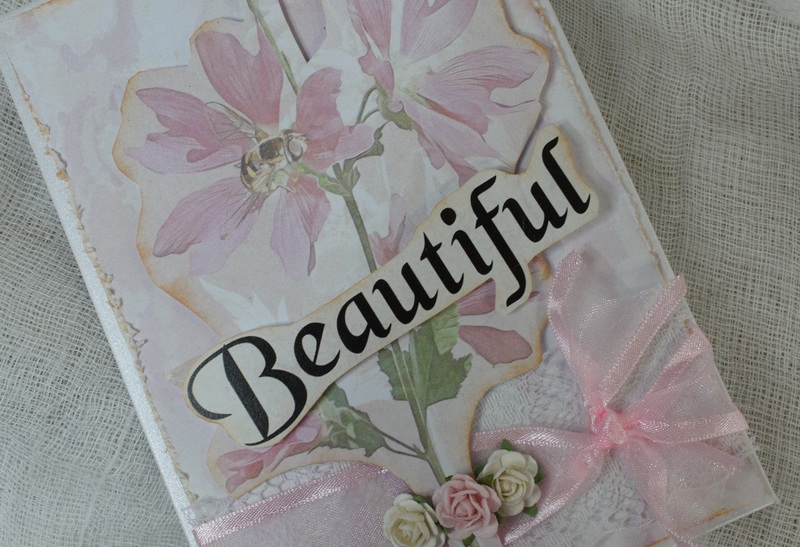 For this card, layering was made easy with the extensive choice of delicate patterned papers. 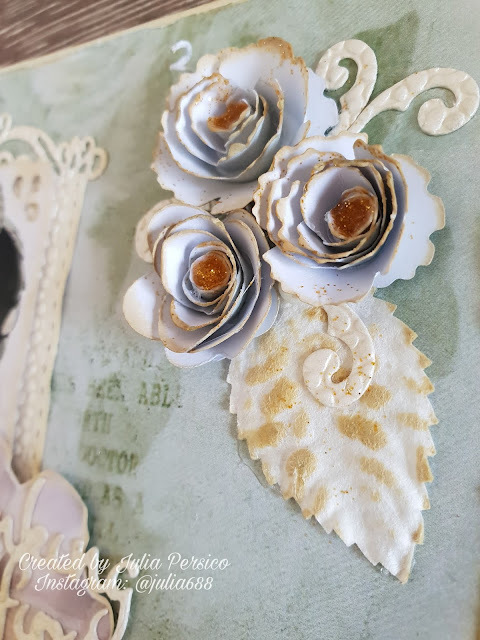 The paper flowers - not quite pink, and not quite apricot, tone perfectly with the papers for added detail and embellishments. Tucked around them, I have ribbon bows, feathers and bling. 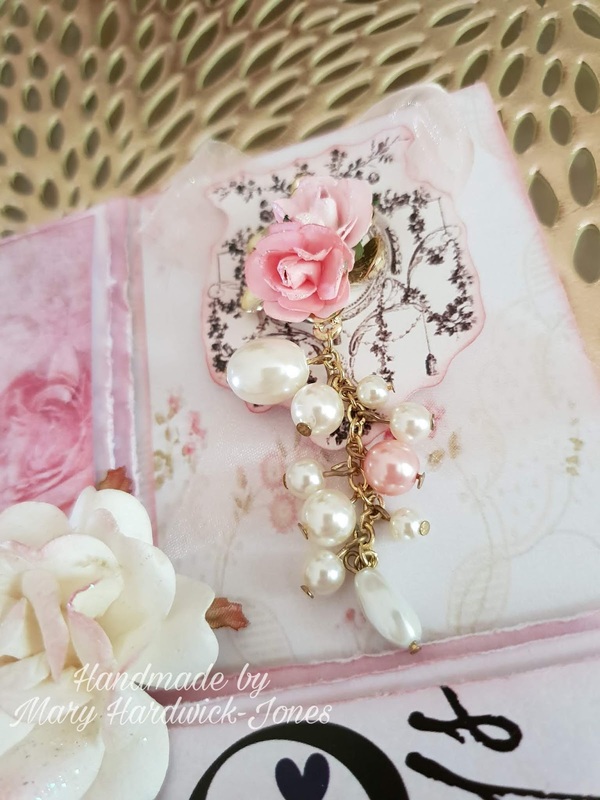 And now for the O.T.T moment.. a piece of pearl costume jewellery! It sits atop of a Cut & Create design, finishing the card with a bling! 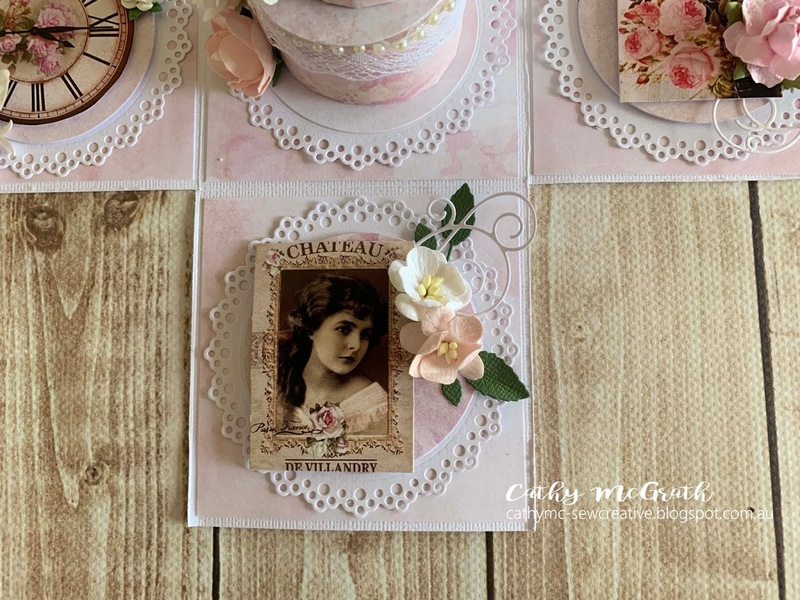 The French Roses Collection is a masterpiece of beautiful papers, thoughtful colour selection and heartfelt choice of ephemera. Today I would love to share with you two cards that I have created with these beautiful patterned papers called French Rose available from Meg's Garden online store. 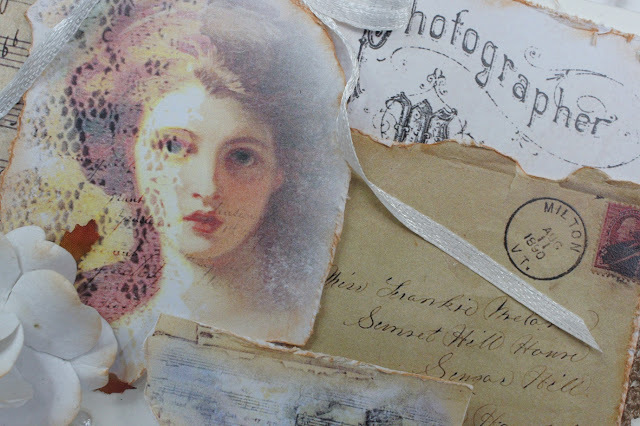 Each card is a collage of beautiful images from the cut & create sheets. I have distressed & inked each piece. 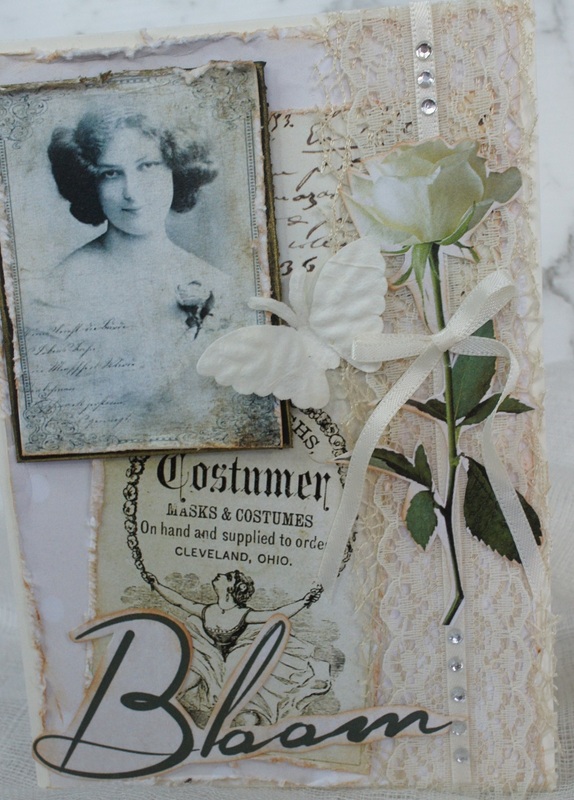 Lots of layers, plus some lace, bows, flowers & self-adhesive pearls complement each card. 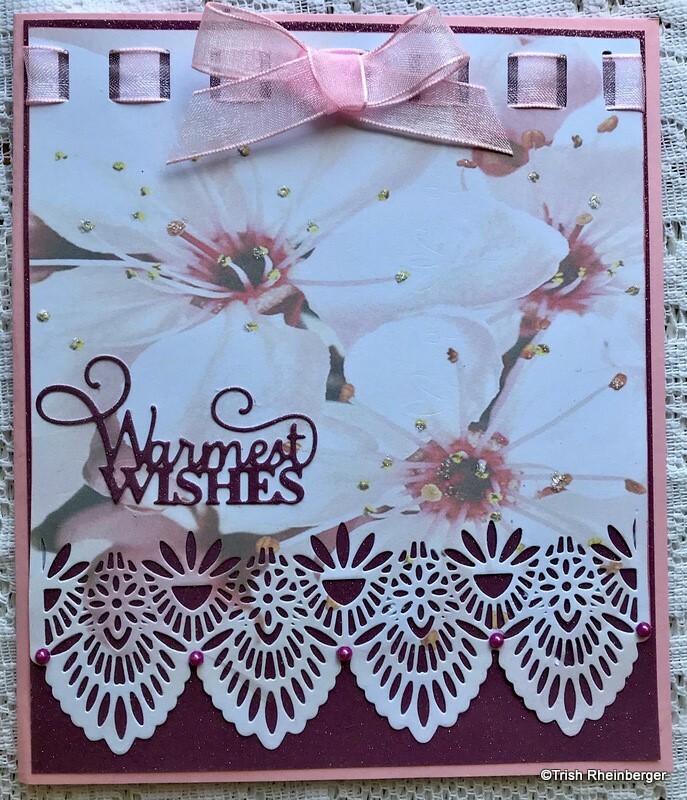 Pretty feminine cards. Easy to create. Each card is in soft muted colours. 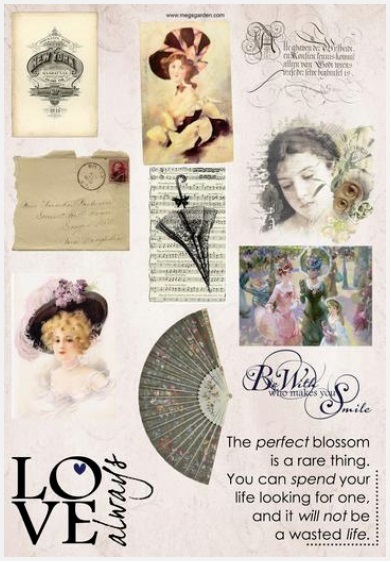 I think these cards would be lovely for Mother's Day. 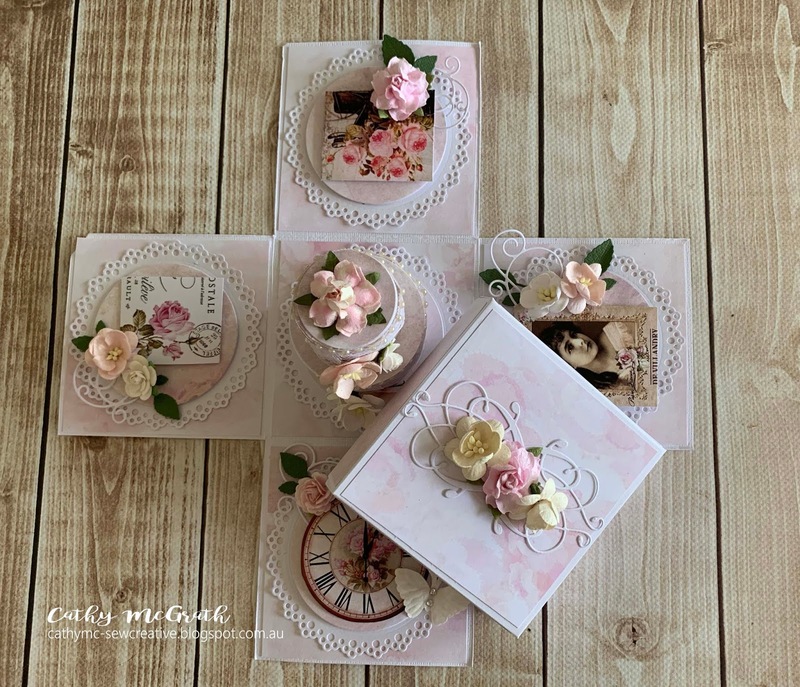 Doesn't Meg's new collection French Roses just make you 'smile'? 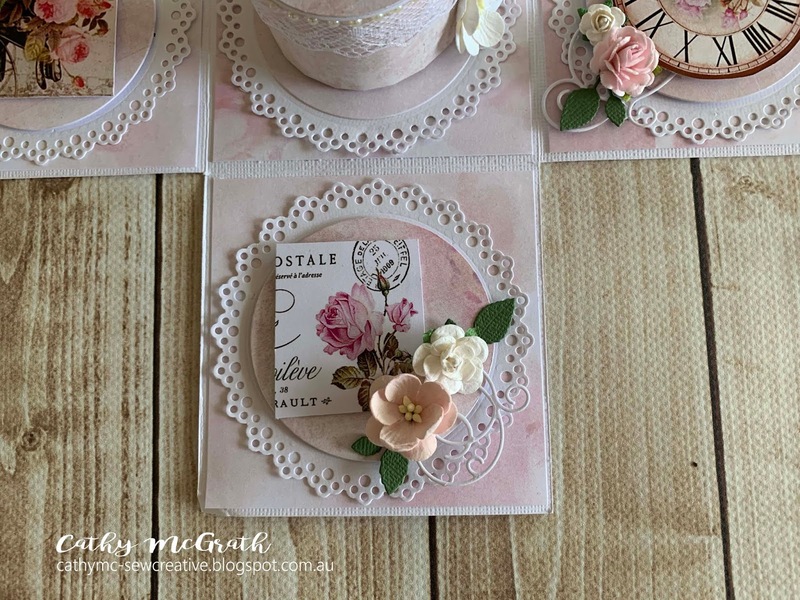 Full of stunning flowers - so real they are just picked from the garden - and pastel colours, there is definitely something for all card makers and crafters alike in this collection. Today I have another card for you, using one of the beautiful ladies from the collection's Cut & Create pages as my focal feature, and also a sentiment from the same sheet. 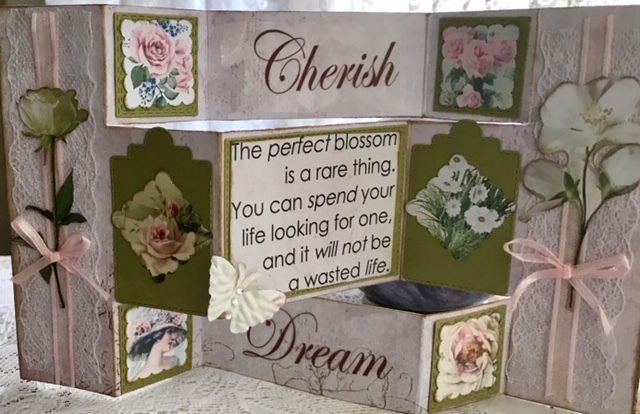 One thing I love about the Cut & Create sheets is that there is always sufficient room around each image or sentiment to allow for die cutting it out - as I have done below. Taking colour inspiration from the Cut & Create design, I used paper from French Roses and embossed using a complimenting embossing folder. Using the same nesting die cuts, from another of Meg's papers I cut a slightly larger shape to mount the beautiful lady onto. 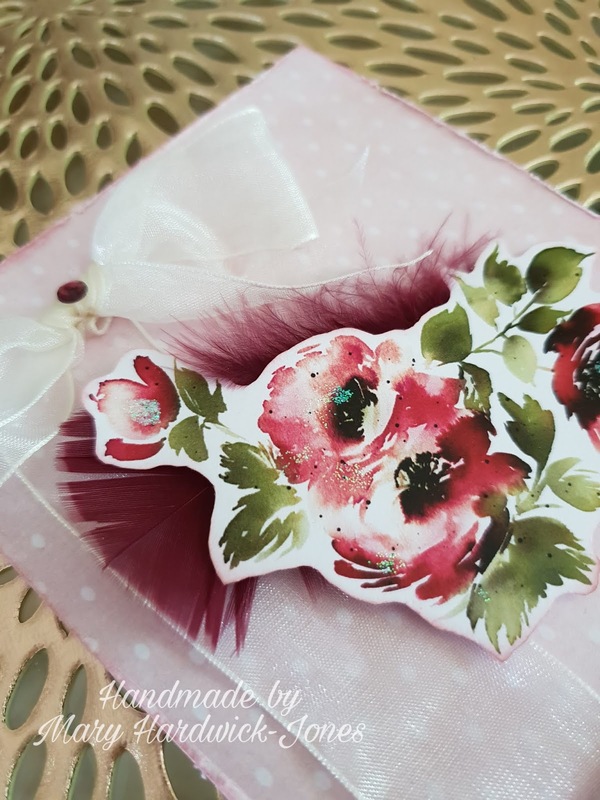 Clustered is an assortment of both paper and fabric flowers, pearl bling and finished off with glossy droplets on the large flower. As always, I have inked over the raised embossed area and around all my edges. Hope you are enjoying the new collection as much as I am! 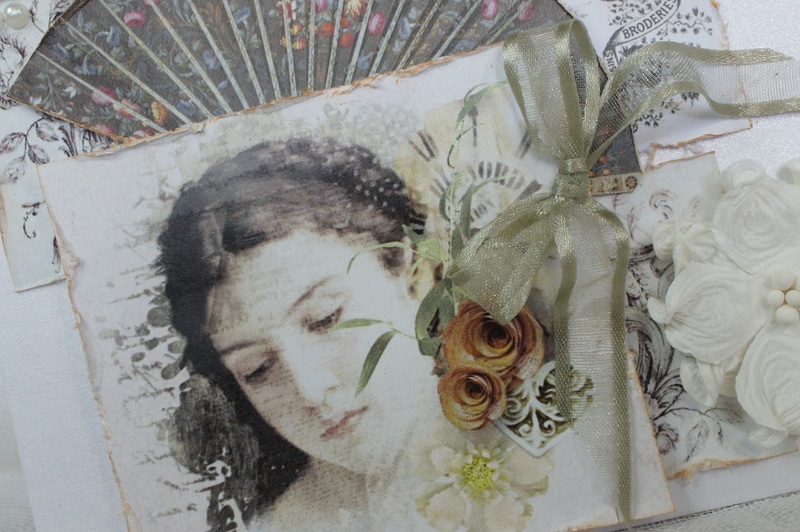 I am in love with this paper range,i don't want to cut into it. see what the other creative Design team come up with. 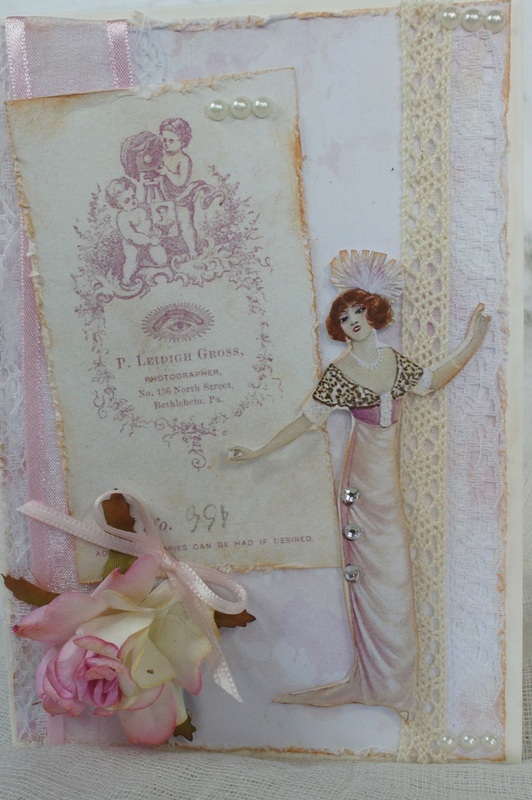 Today I have another card to share with you, using papers from both French Roses and Spring Flowers collections. 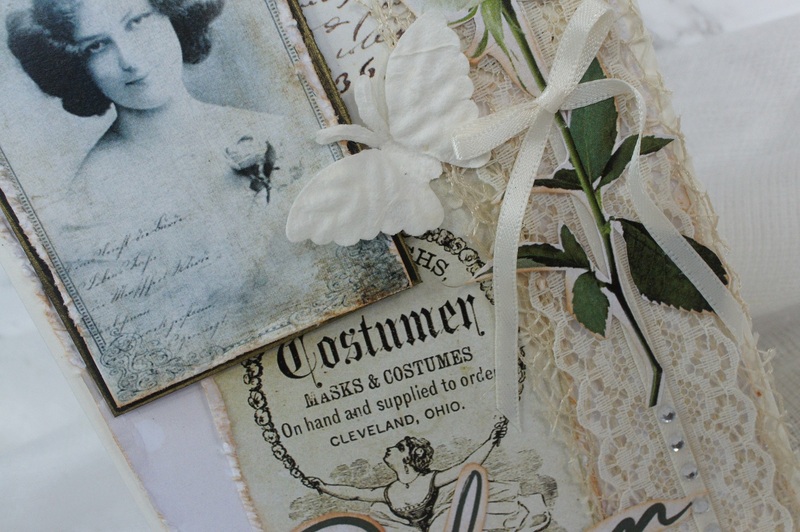 Whilst slightly sombre in theme, it is still beautifully respectful in muted greens and creams. 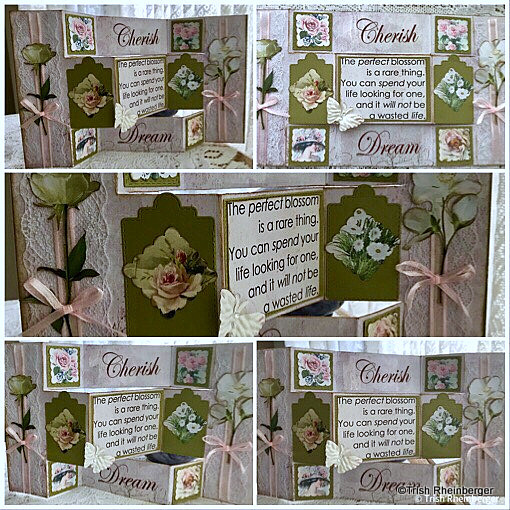 I used several die cuts on this card - the frame, sentiment and flowers, cut from papers in the collections. Meg's papers not only are great to use alone, they are also the perfect thickness and quality to run through your die cutting machine, even with the most intricate detailed die design. 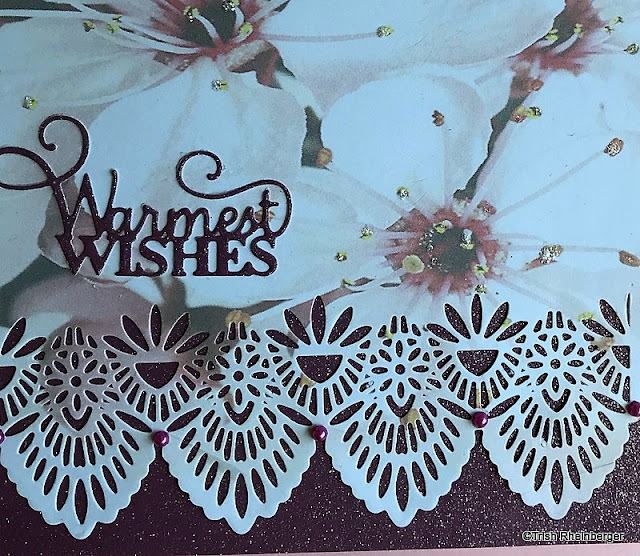 The 3 cluster of flowers I hand rolled into shape, from a flat die cut design. I filled the centre of each with one of my favourite craft supplies - glitter! 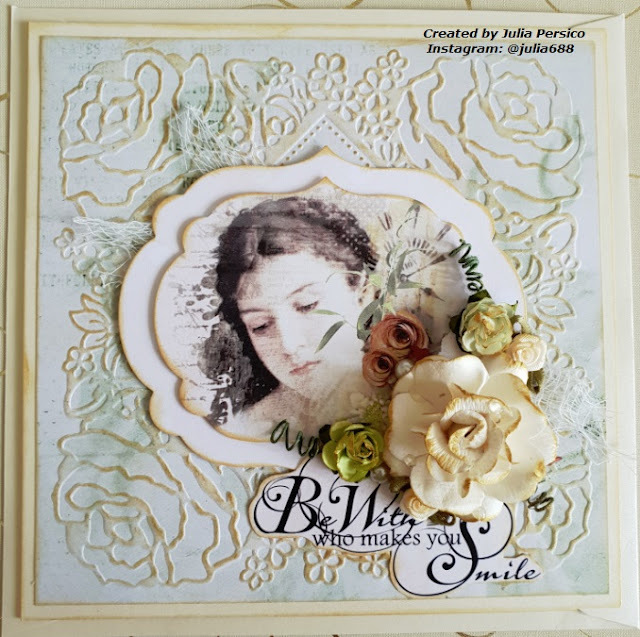 I love using up scraps, so I kept the off cuts from the frame die cut to include with the flower cluster. 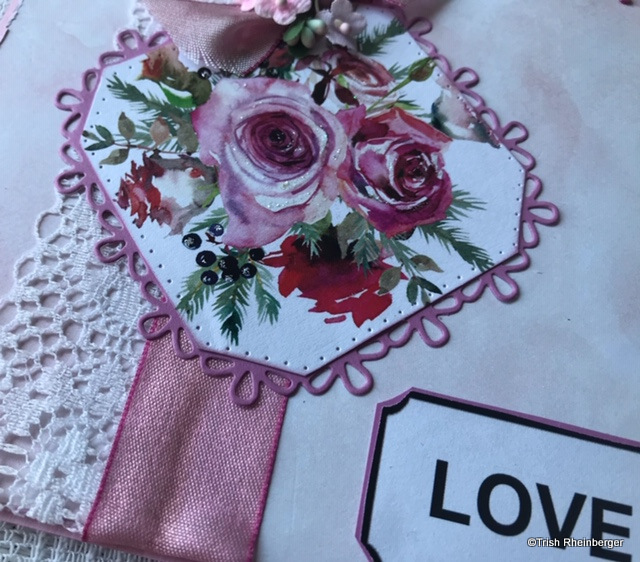 I placed my sentiment atop a lovely flower cut from the Cut & Create pages in the French Roses collection, and embellished with more die cut flourishes and a tonal fabric flower. Inking lightly around the edges and raised areas, I kept the colours muted, for the beautiful cherub to be the stand out image. Meg's Garden shop has everything you need to create for all occasions life throws our way. 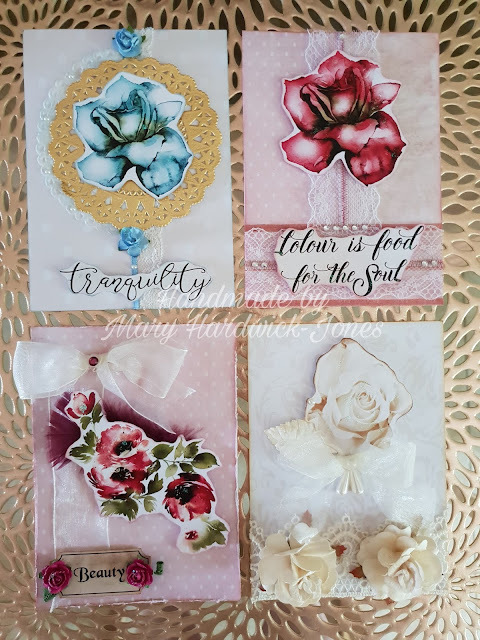 I was inspired by the large and beautiful single flowers featured in the Cut & Create sheets, I gathered all my left-over bits and pieces and used them to make four simple but stunning cards. The Cut & Create flowers are easy to trim around and mount - I then layered with laces, ribbon tied into bows, bling, pearls and paper flowers. 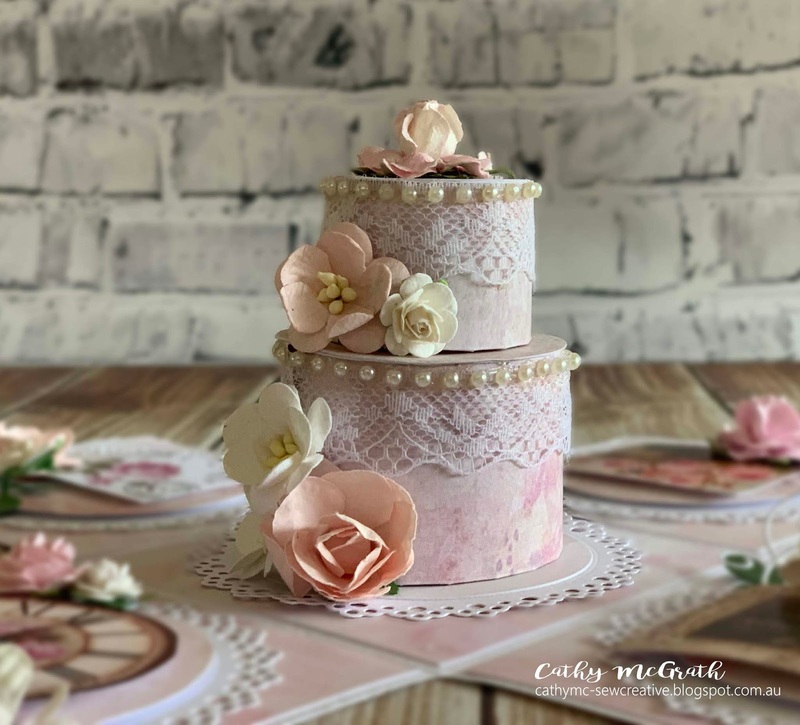 Spoilt for choice in the French Roses collection, I selected a background paper with delicate pinks to feature the bold blood red hues and a muted cream paper to tone with one exquisite ivory bud. Finally, to make a decision on a sentiment! French Roses has so many evocative and whimsical words and phrases with delightful fonts to pick from. This collection has been a joy to work with. I have 3 very pretty cards that I would love to share with you today. The patterned papers I have used are from Meg's Garden online store. 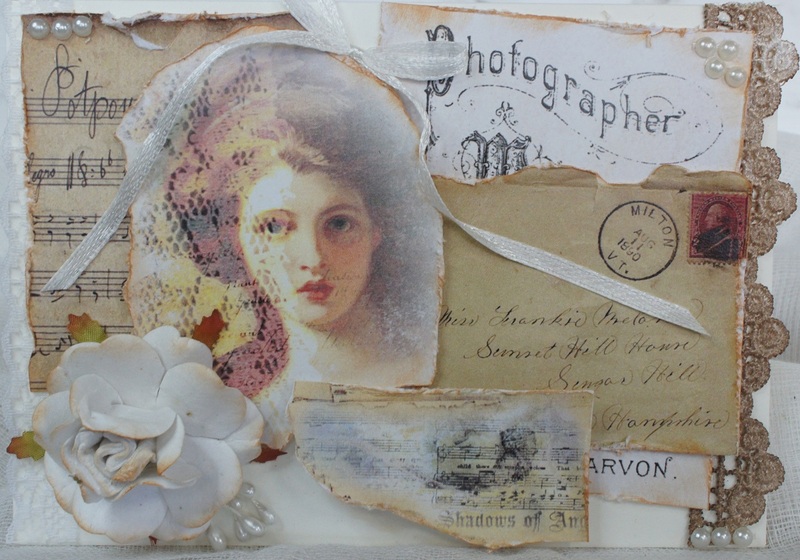 This set of papers is from the French Roses collection. 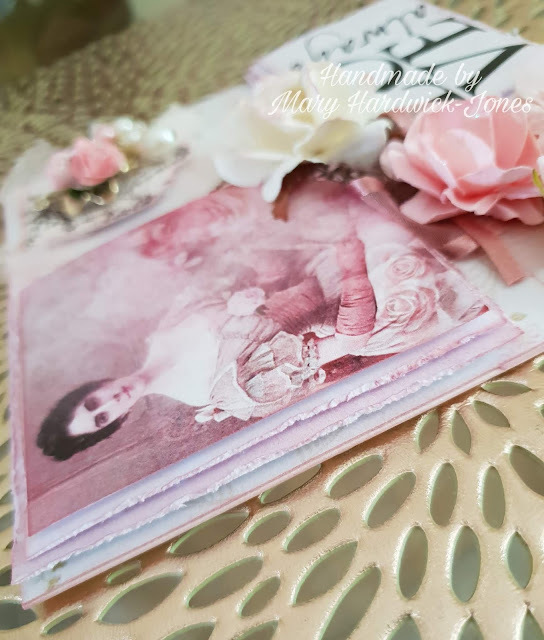 Each background paper and the images from the cut & create sheets were selected to match each cards colour tones of either soft pinks or creams. 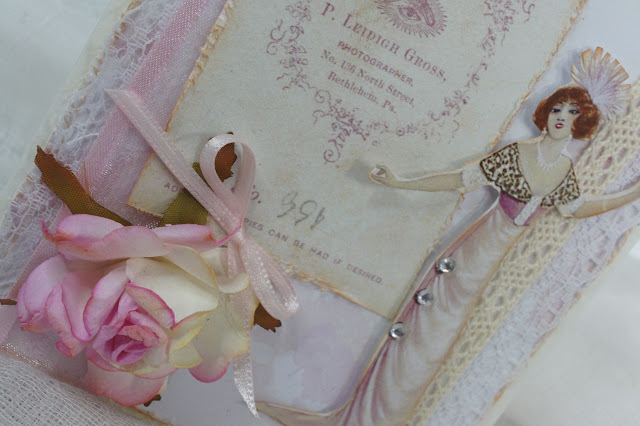 Embellishments of flowers, lace, and ribbon in the same soft pastel shades were used to decorate each card. For that final touch of glamour, I added pearls & rhinestones. 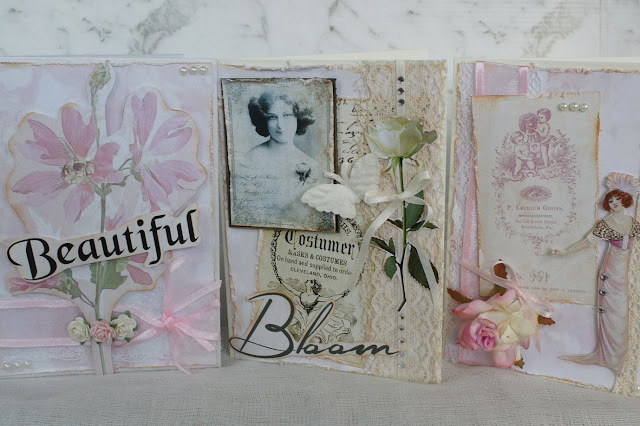 Each card was easy to create with some simple fussy cutting, layering, distressing and inking. Isn't craft, whether it be scrapbooking pages or handmade cards, a wonderful way to create and share memories? 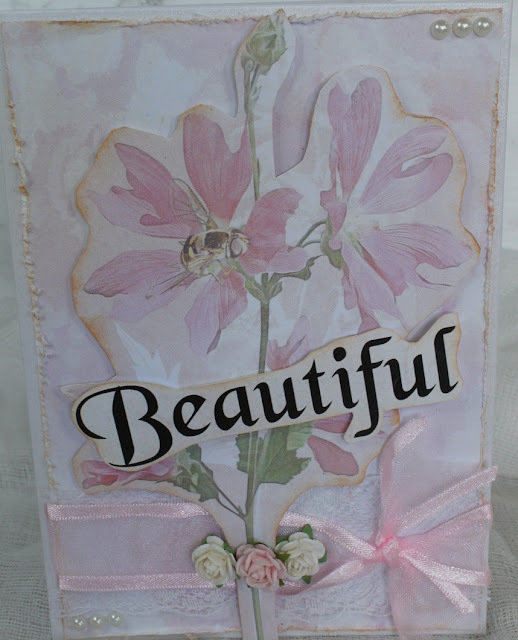 I think so, and the beautiful sentiments from Meg's new collection French Roses inspired this card. I fell in love with the rose paper, so elegant and so perfect for any occasion. 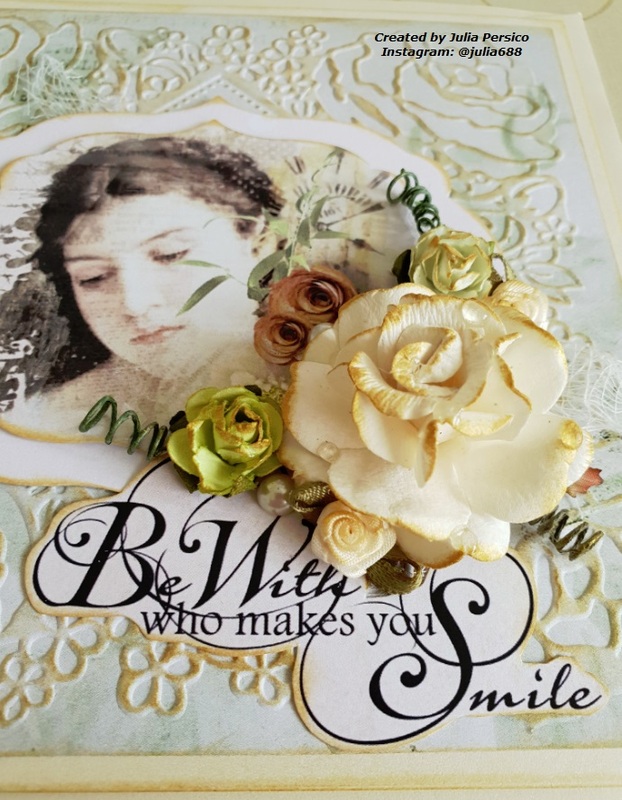 And roses just make everyone smile, too. I used a long card, rather than a standard size card to capture the rose in full. 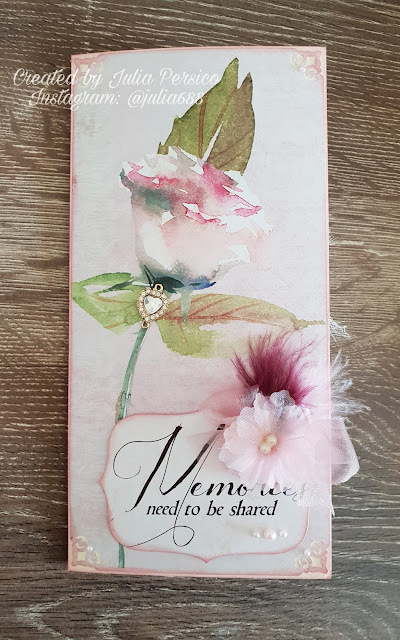 I die cut the Memories sentiment and embellished just one corner, using ribbon, feathers and a fabric flower in tonal colours. 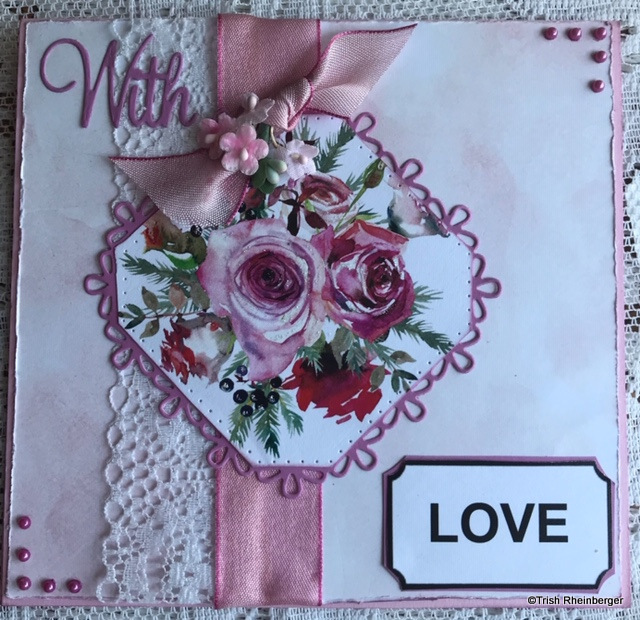 I gave one embellishment to the rose, a heart charm, and finished with pearl bling before mounting the sentiment to the card. 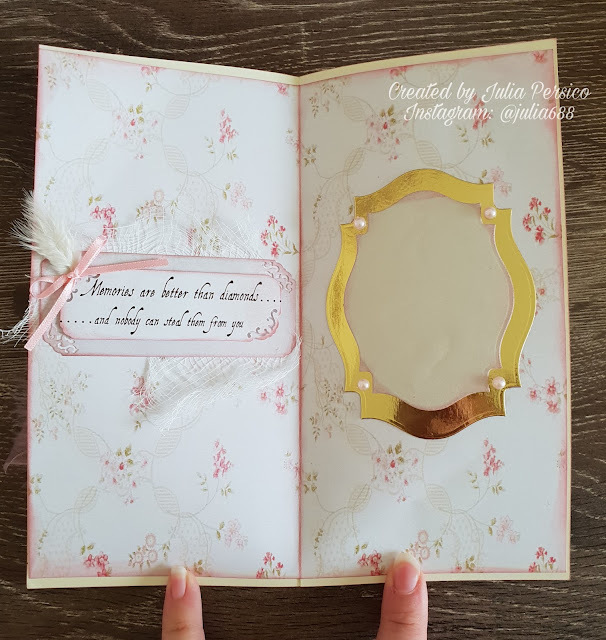 Inside, I placed an insert with the second sentiment that inspired this card. I used one design paper from the Spring Flowers Collection and die cuts for the journal area. 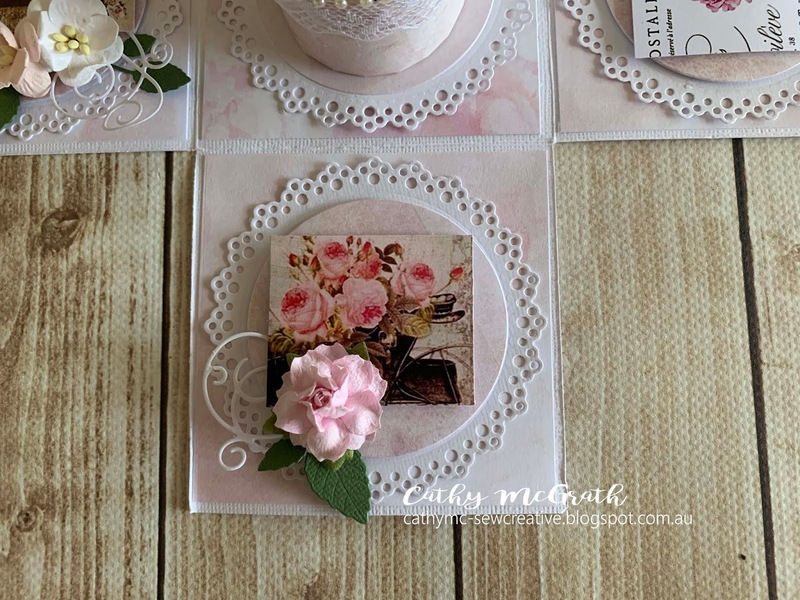 Both these sentiments can be found on the Cut & Create pages in Meg's Garden new collection French Roses, be sure to wander through the shop today - as I know they will inspire you, too!